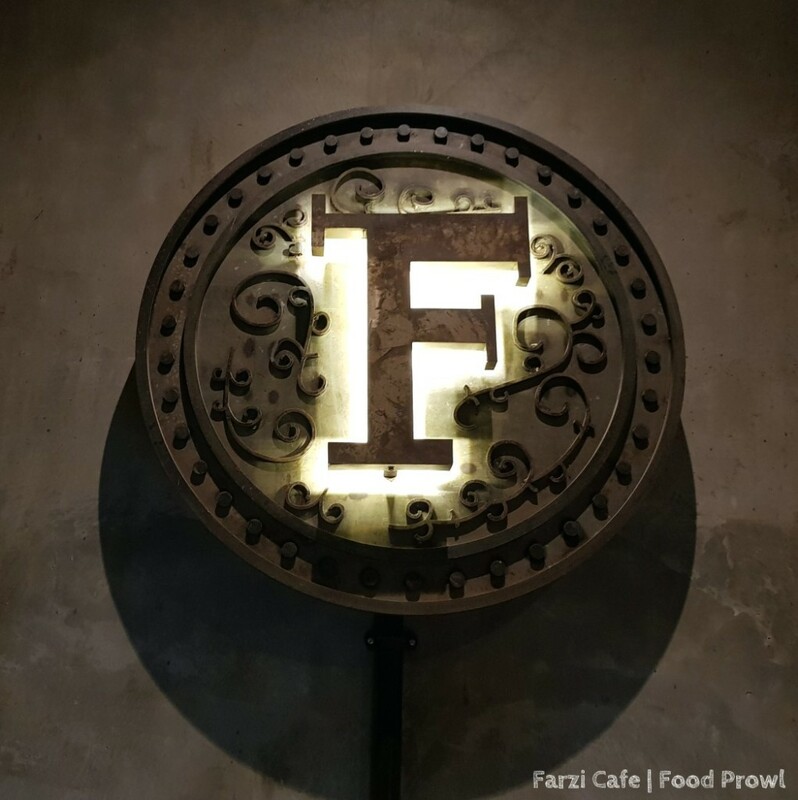 Farzi Café introduced the modern Indian cuisine to the masses, they got us the food that was until that point being served at very few places and at exorbitant pricing. 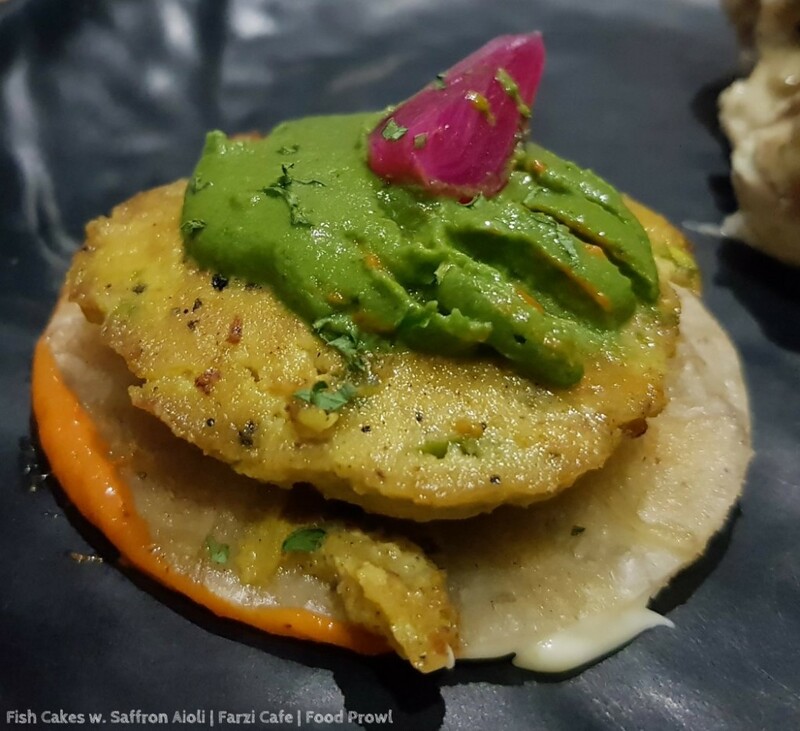 The craftily plated food with multiple elements in with made using modern cooking techniques, at an affordable price, that’s how Farzi Café changed Indian F&B scene. 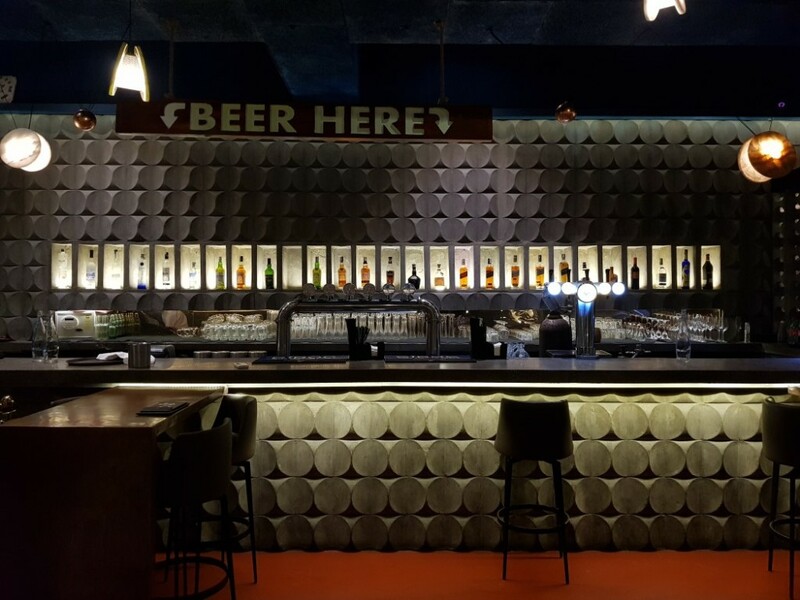 They opened in Pune a little over a year back and they have been attracting massive crowds for the innovative food and drinks they serve. 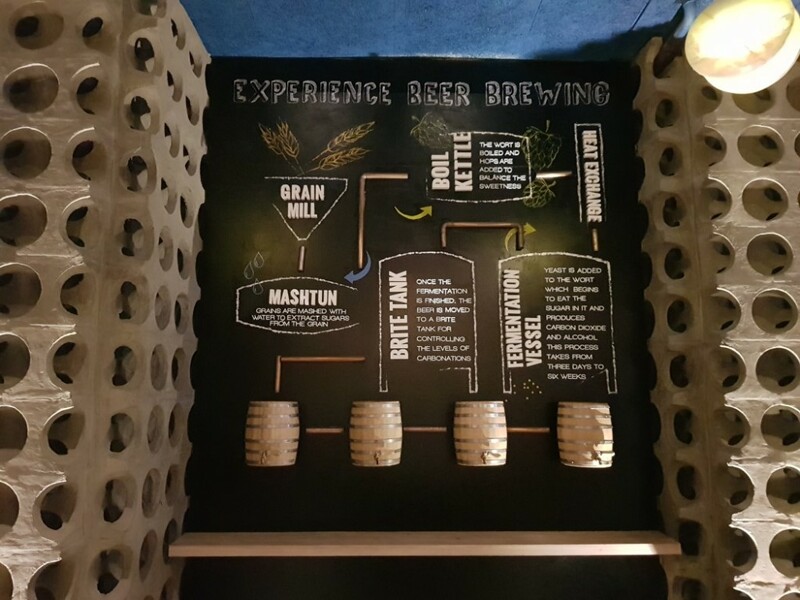 Farzi Café has come up with a new menu for customers especially for customers willing to experiment. 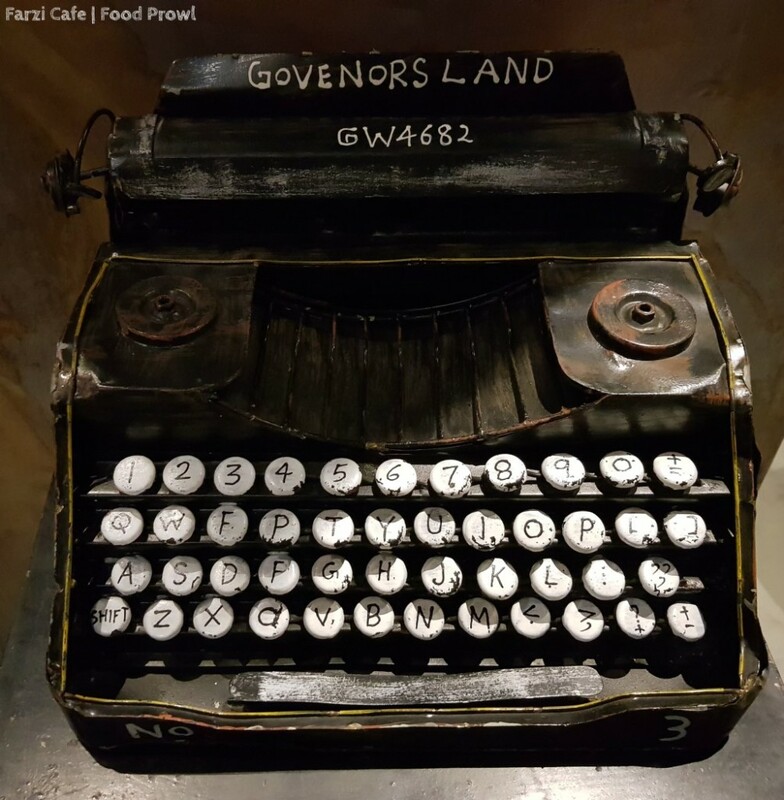 The old menu continues to exist, but the new menu brings more out of the box creativity which Farzi Café is always known for. 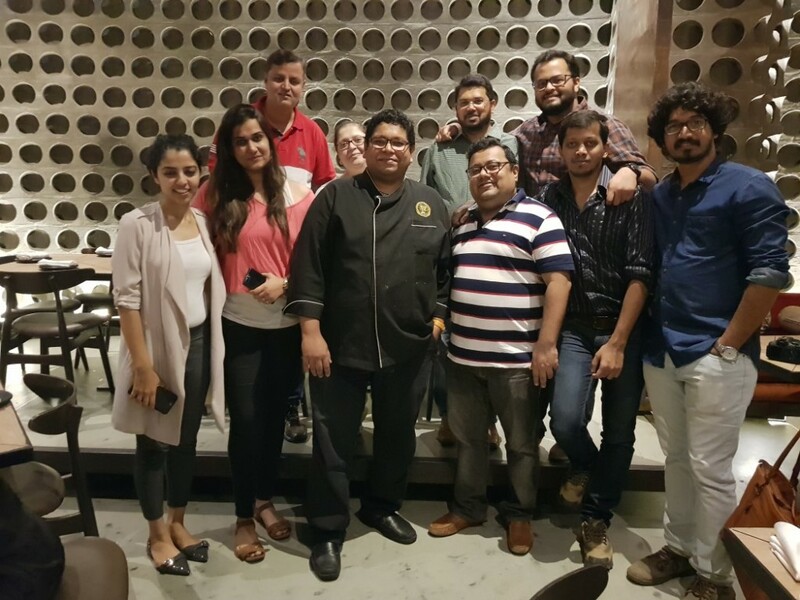 The Food Prowl Team was invited to try out the new menu recently almost all dishes that we tried left us impressed. 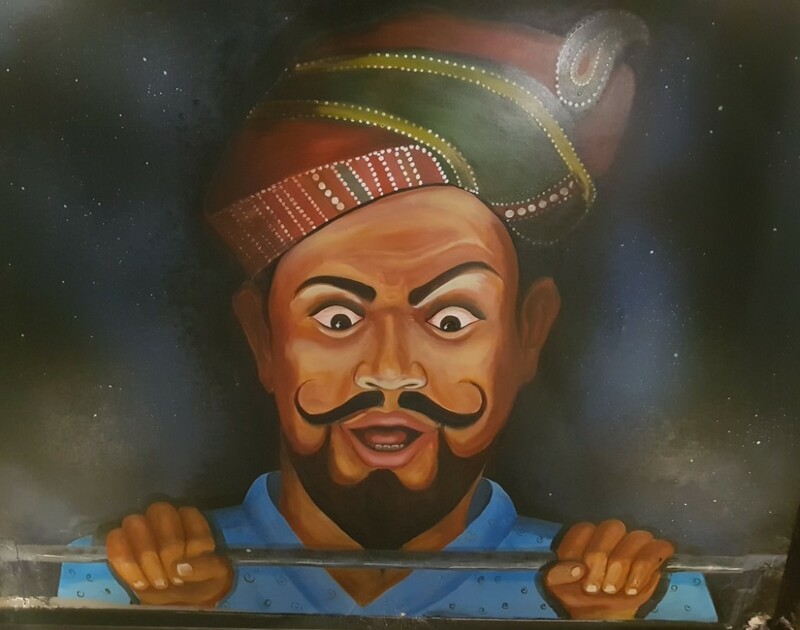 Lamb Shawrama Biryani and Ghewar Tart are a must have from this new menu. Our meal started with a hearty Smoked Makai & Lamb Chowder Buttered Baked Popcorn Soup. 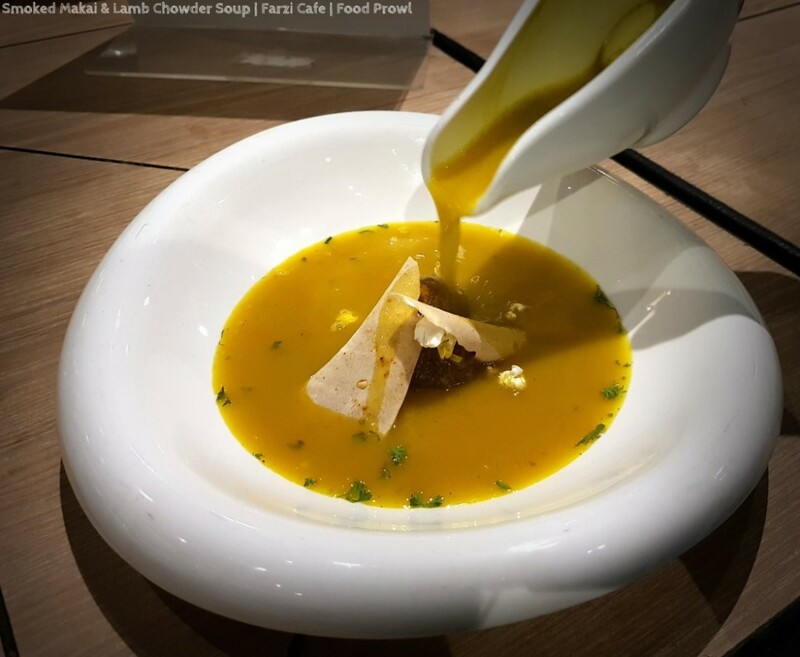 The soup bowl has different layers of a spiced sauce, croutons and popcorn and the broth is served on the side, the broth is packed with meaty flavors that worked very well in this weather, and the croutons and popcorns brought in the texture complexity. 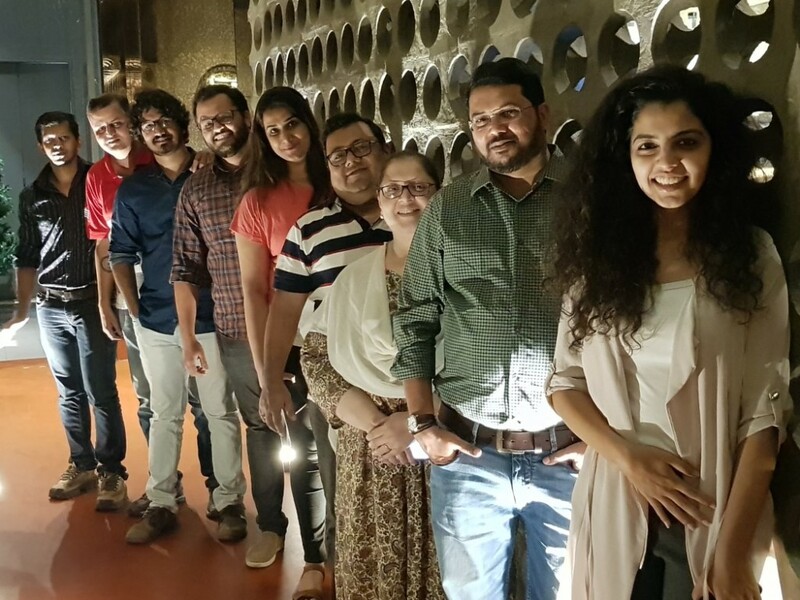 Though the initial reservations were that popcorns might not work as they can become soggy very soon, but oddly enough they felt good in the soup. 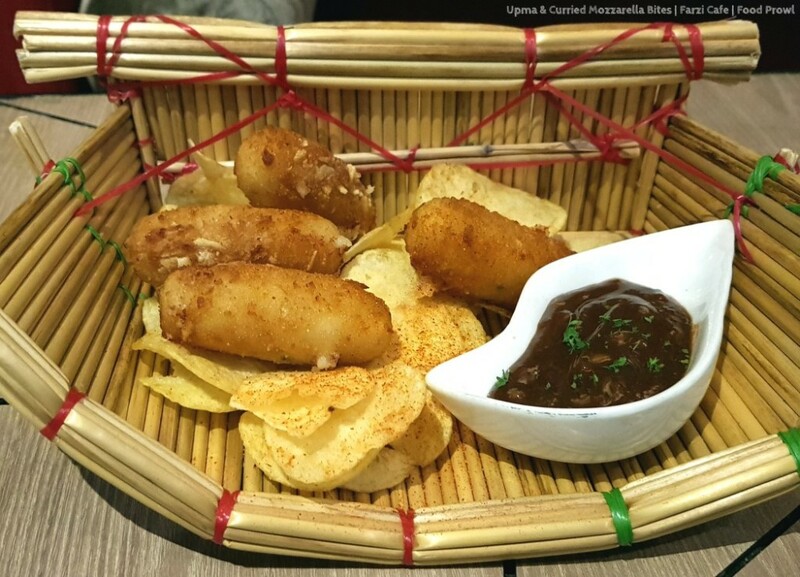 The soup was followed by new Tapas dishes. 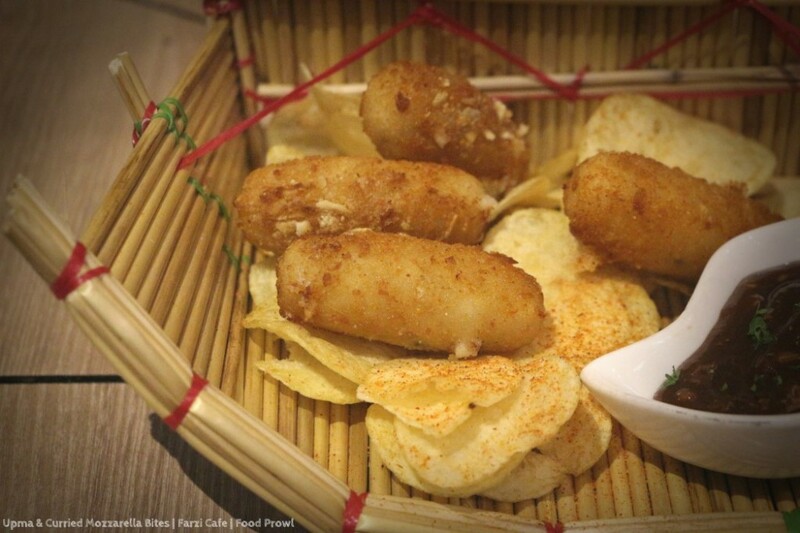 Farzi Style ‘Bombay Toastie’ with Warm Cheddar, it is Farzified famous Bombay sandwich, all the ingredients of the sandwich on an open flat bread, but instead of boiled potato slice it has a proper cooked aloo masala and cheese drizzled on top. Lots of sweet, sour, spicy flavors in one bite. 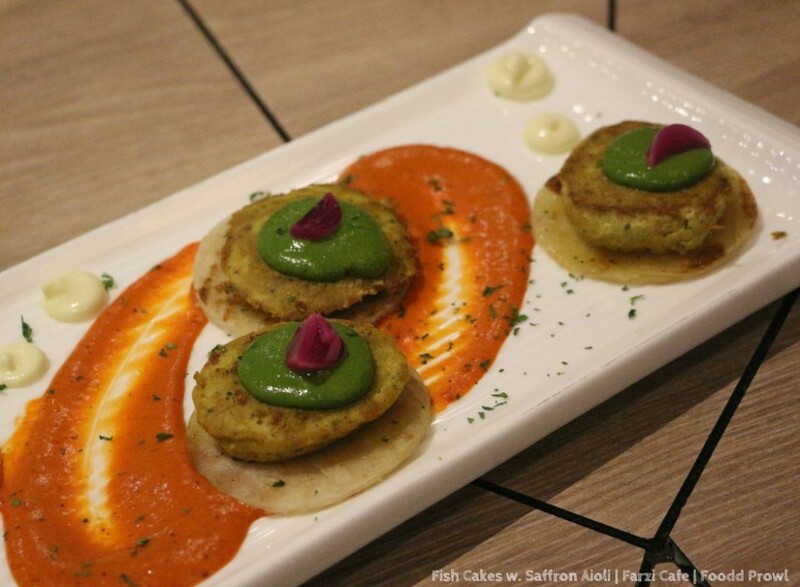 Pan Seared Mahi Fish Cakes with Saffron Aioli came in next and are in contrast with the toasties, delicate and subtly flavored fish cakes which are melt in the mouth level good and the flavors come from the mint chutney and aioli. 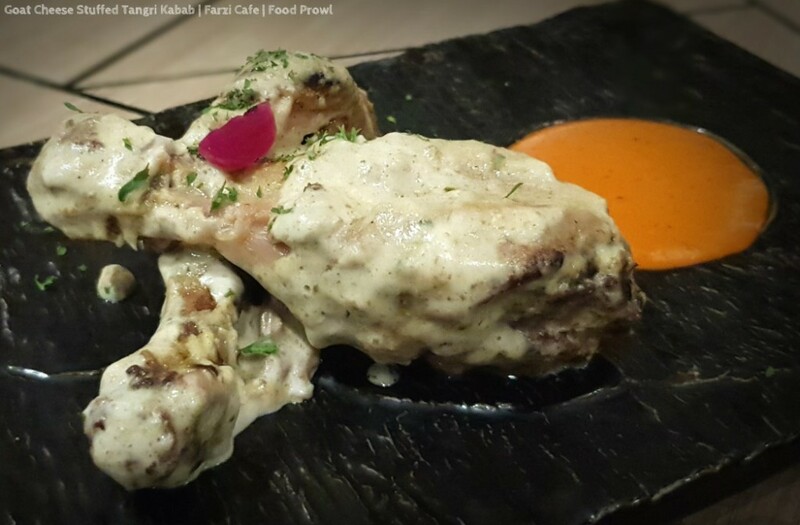 The new Chicken tapas is Goat Cheese Stuffed Tangri Kabab with Pimento Pepper Coulis, this is a very mild and tender leg with goat cheese that melted out while cooking and it tasted good overall, but the goat cheese wasn’t evident which we brought to the Chef Durgesh’s notice and he will have a re-look. The Pimento Coulis was the best condiment of the entire meal, it had a smoked flavor and we kept it back and tried with other things as well. 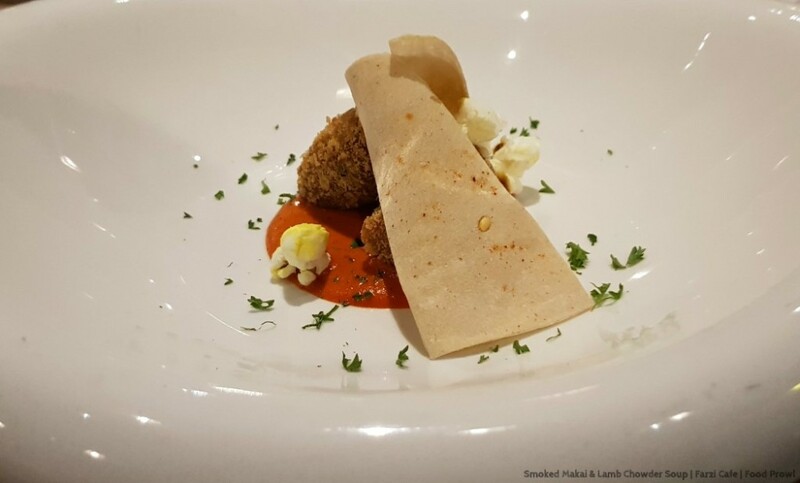 The last dish from tapas section was Upma and Curried Mozzarella Bites with Puly Ingi, the cheese upma bites have good soft crispy texture contrast but taste is very bland, but the Kerala style sour and sweet Puly Inji is very good and added the much-needed flavor to these bites. 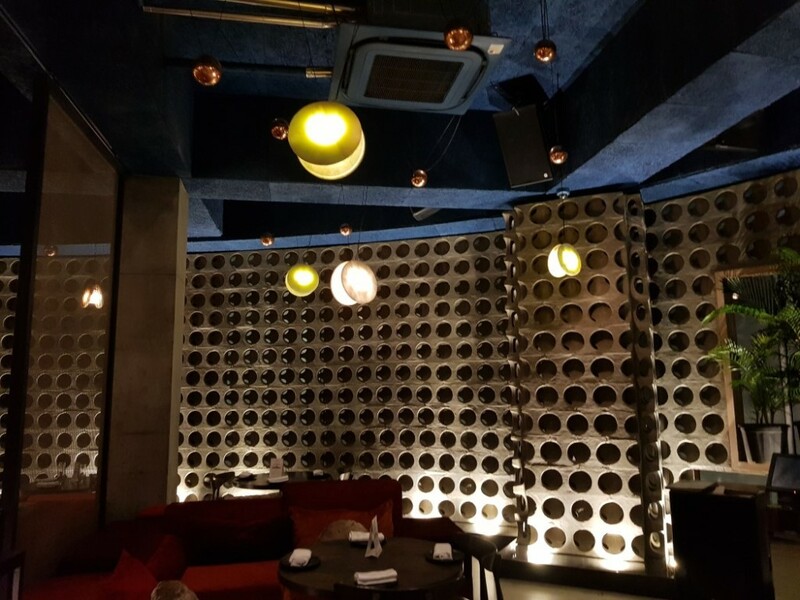 From Tapas we moved on to Grills and Roasts section of the menu, that has 2 new dishes. 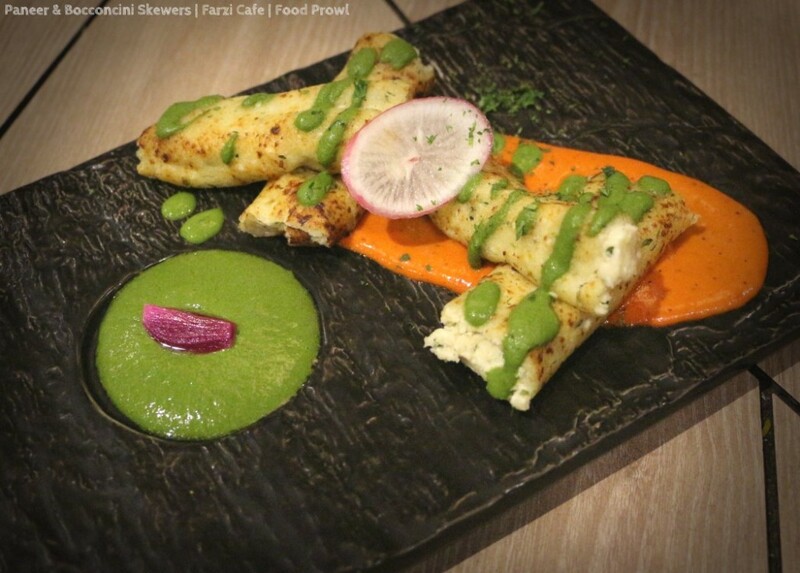 Paneer & Bocconcini Skewers with Roasted Tomato Chutney, this is a stellar preparation with tow delicate ingredients made to stay on the skewer (not easy) having a mesmerizing subtle flavor and chutney adding more depth to flavor palate. 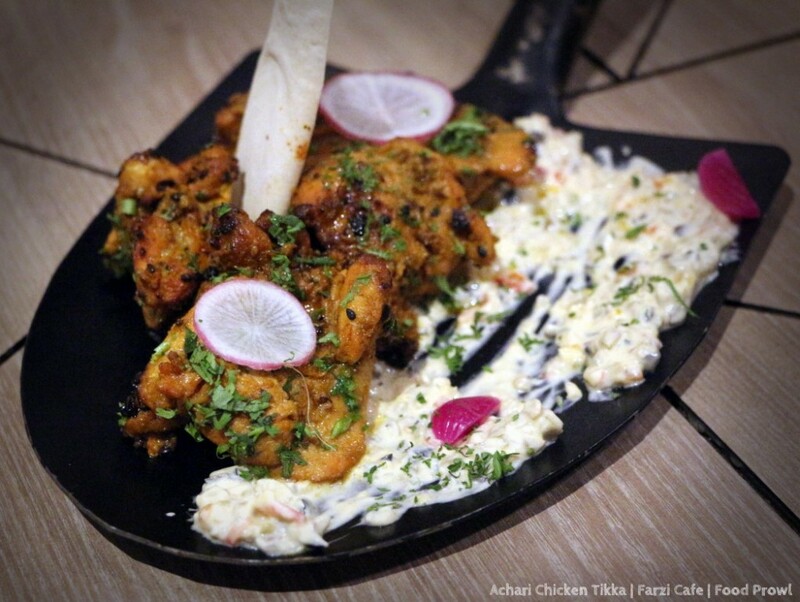 Achari Chicken Tikka with Olive and Garlic Sofritto, contrasts with the Veg option, pickle flavored Chicken Tikka with prominence of mustard and sour flavors, but at a balanced level with creamy olive condiment its very yummy just by itself. 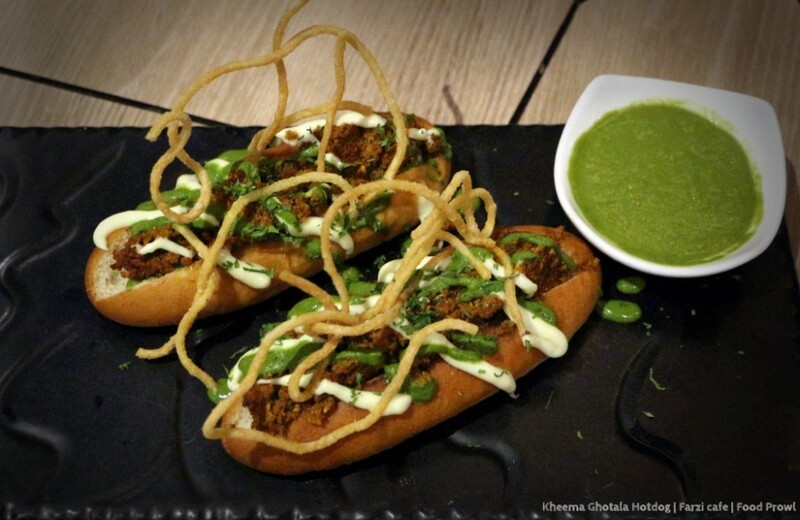 Indianized hotdogs were next, Tempered Pindi Chana in Veg and Kheema Ghotala in Non-Veg. 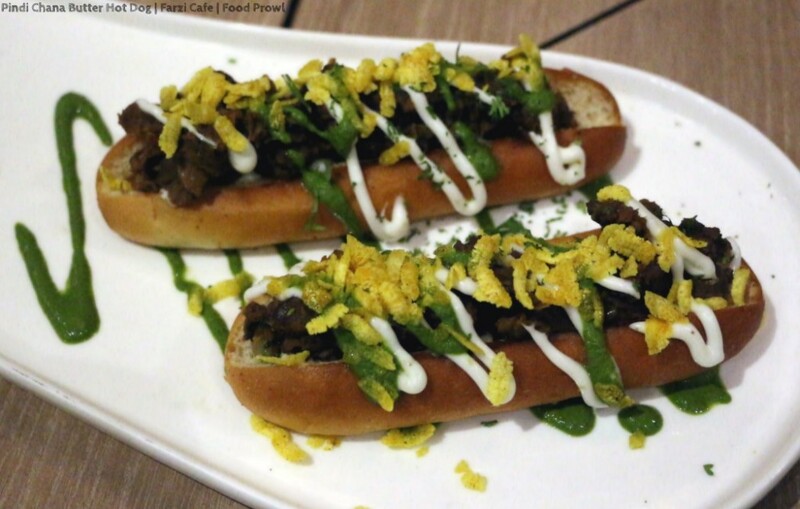 While the buns are soft, and the fillings are flavorful, these didn’t feel Farzified enough, they were hotdogs with good Indian fillings and a crisp element on top of it. 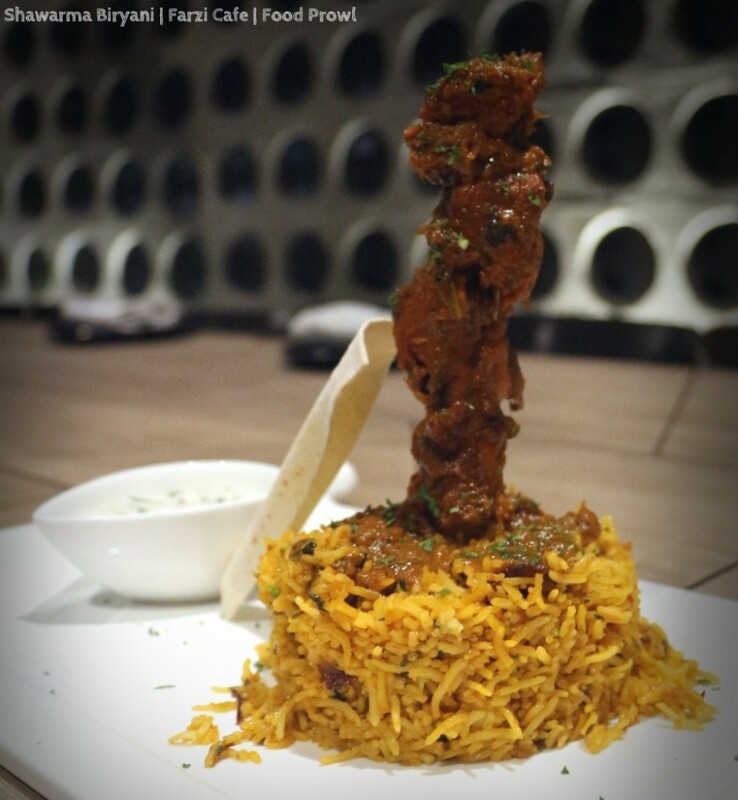 Finally, we moved on to mains, and the dish of the day – Lamb Shawarma Biryani. 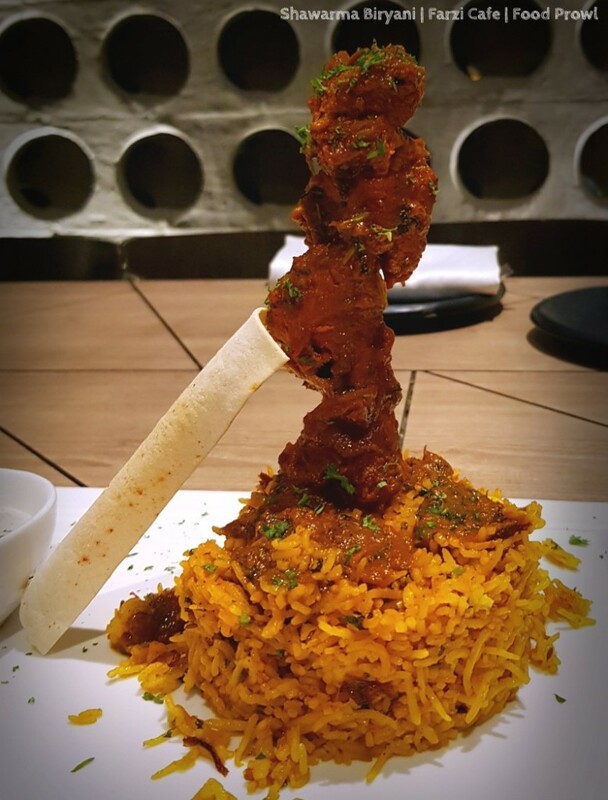 Wow, this is a home run hit by the chef, big boneless chunks of lamb meat tossed in a very flavorful sauce, and subtle flavored rice, we ordered it twice, that’s how good it was. 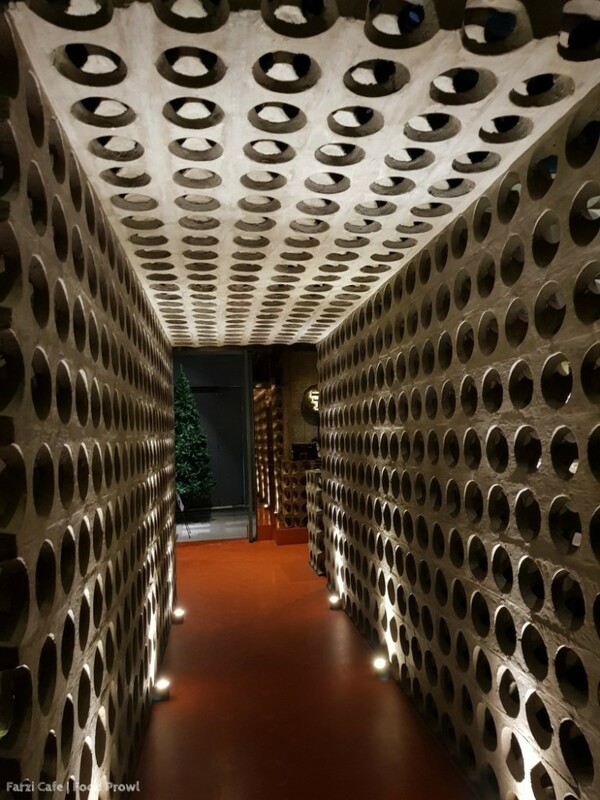 Completely Farzi creation. 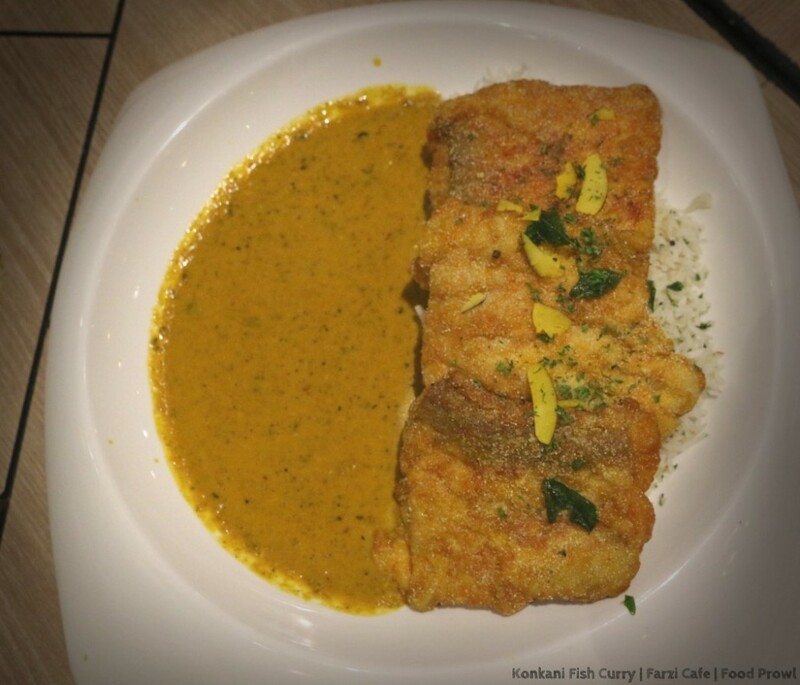 We somehow opted for all rice mains, and Kerala Fish Curry with Goan Coconut Rice was our second pick, it has traditional flavors, the fish is deep fried, 3 huge pieces of river soul and not Basa (sigh of relief), good dish if you like costal flavors. 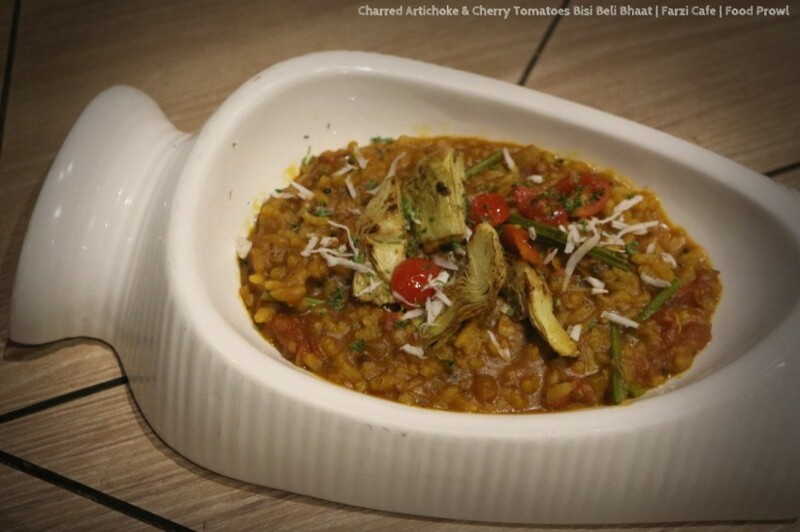 The last was Charred Artichoke and Cherry Tomato Bisi Beli Bhaat, even though it had all the elements that can be associated with Farzi, the sourness was a tad too much which can be reduced. 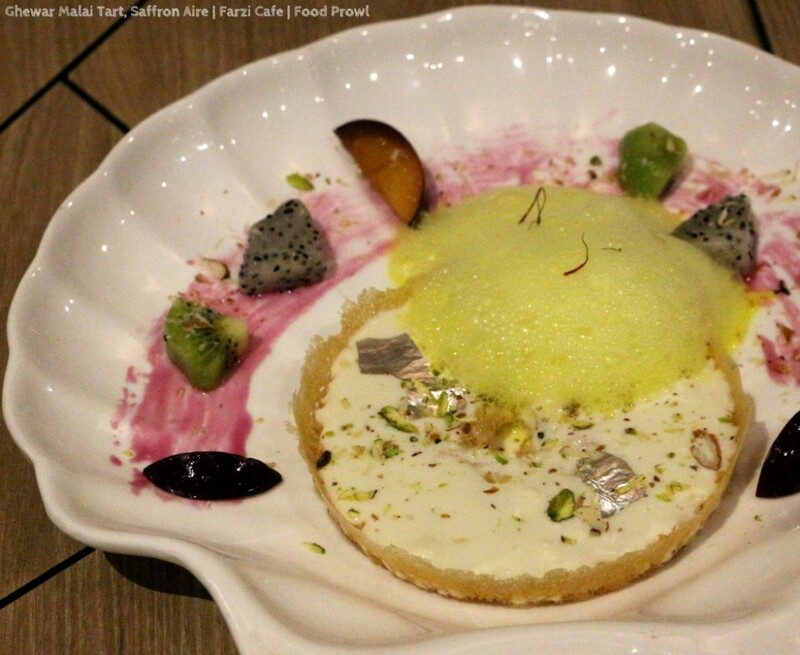 It was time for desserts – Ghewar Malai Tart with Saffron Aire. 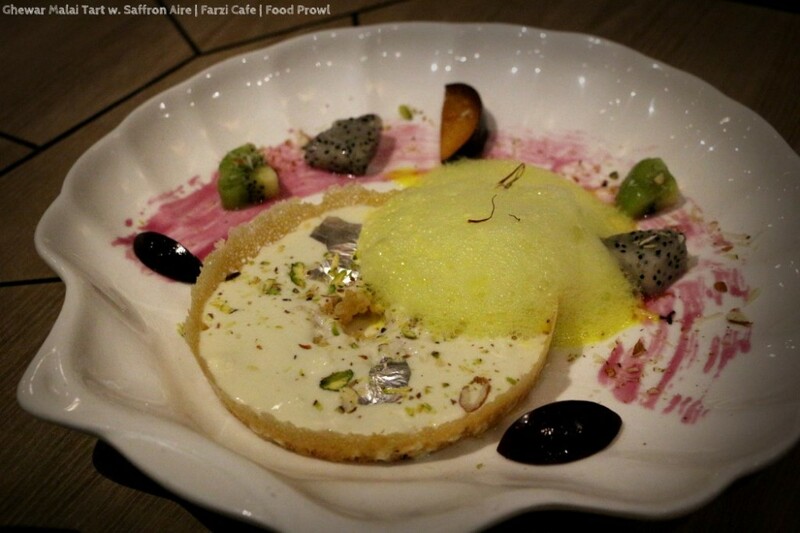 One of the best Ghevar’s available in Pune, loaded with amazingly tasty rabri and Farzified with Saffron Aire. This is a highly recommended dessert. 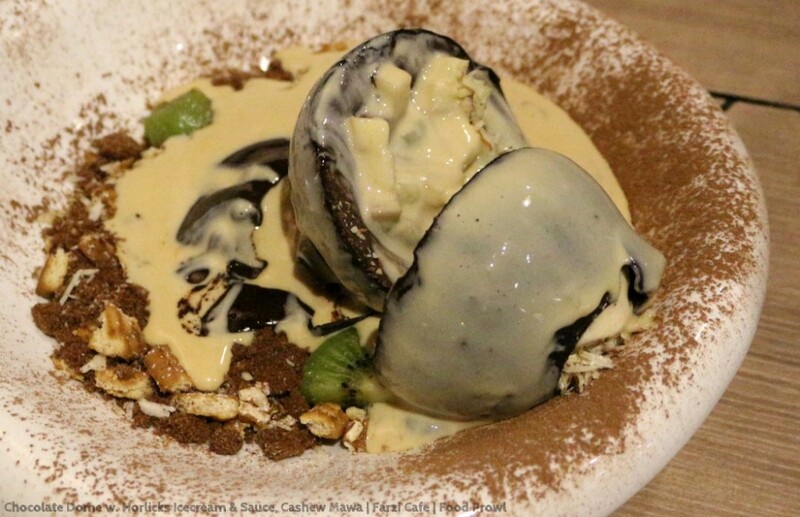 Chocolate Dome, Horlicks Icecream and Cashew Mava, is a visual treat, with two stacked chocolate domes filled with Horlicks Ice cream, Chocolate and more. 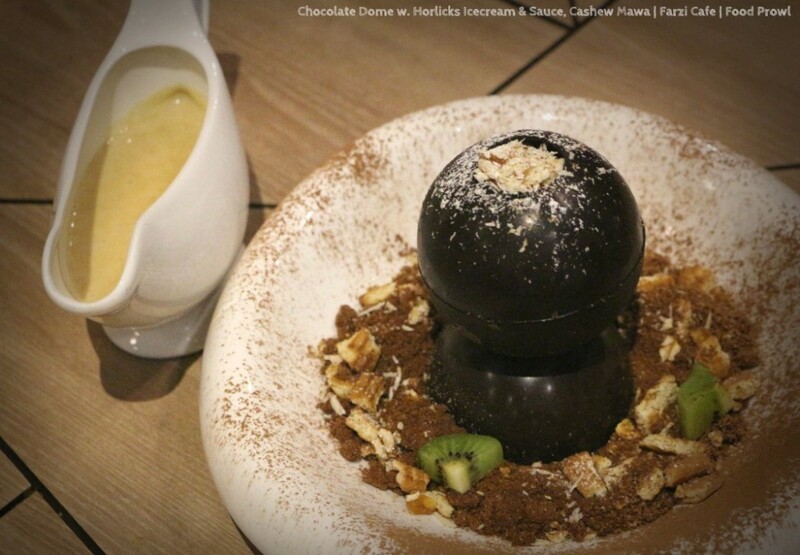 This 2-tier dome tower is set on a bed of chocolate soil, biscuit crumble, some fruits and a hot Horlicks sauce is served on the side to demolish the domes. 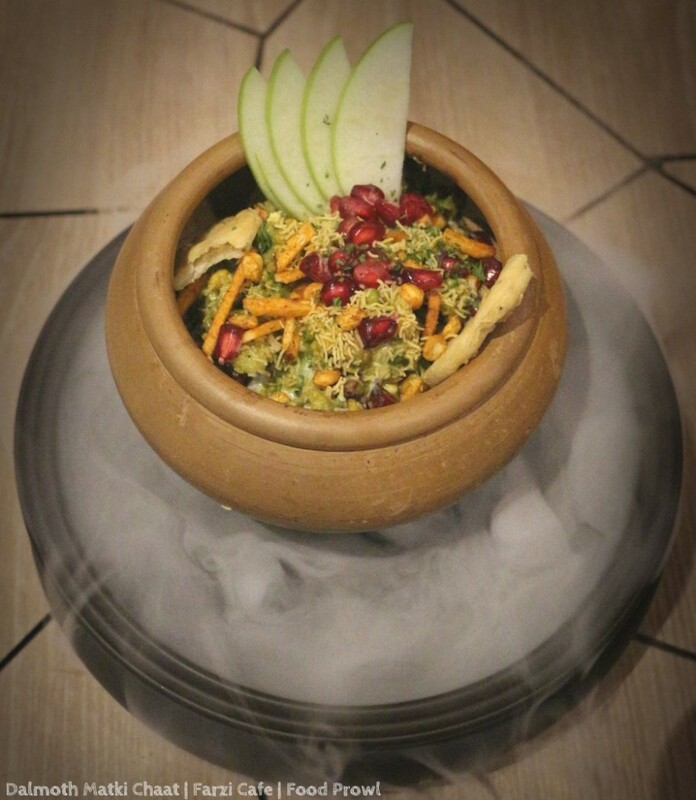 The Horlicks in the dessert is regular not chocolate, but when all the components come together it may take you back in rewind mode to your childhood finger licking days. 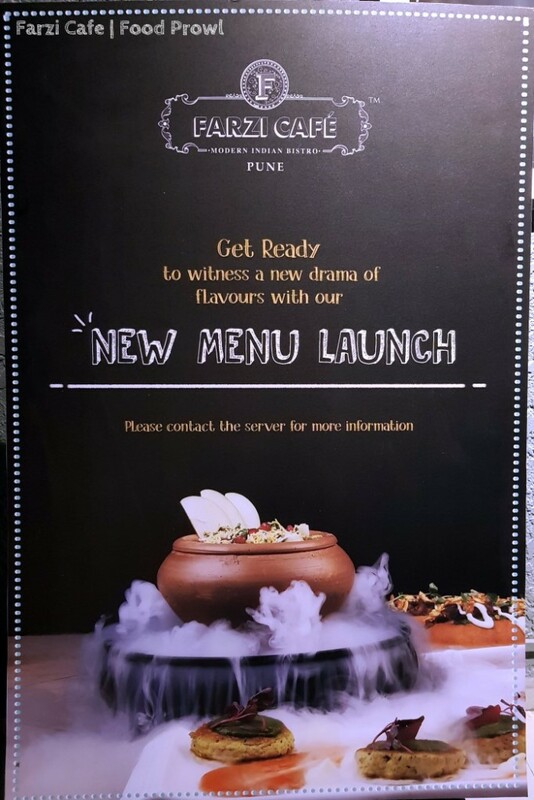 Overall the new menu introduces a lot of good dishes. 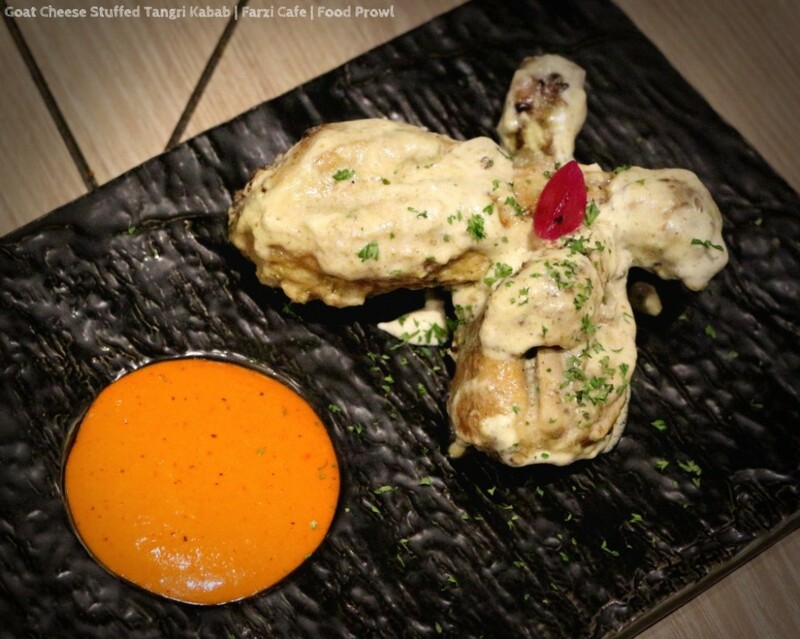 Farzi Cafe is a place worth visiting for those unusual food combinations, not to forget their Cocktails and Kimaya Craft Beer as well. So get Farzified if you haven’t until now! 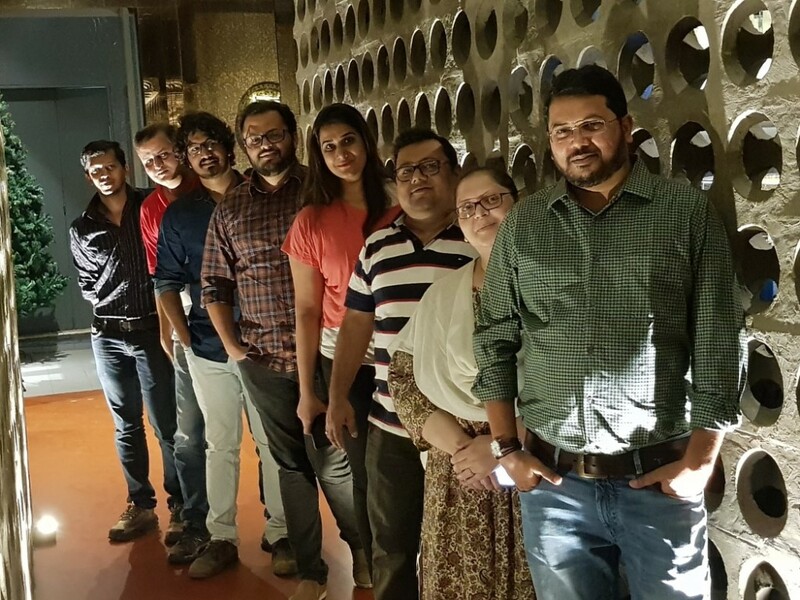 Special Thanks to Ms. Sneha Thakkar – Assistant Manager (Marketing & Communications) for inviting us and Head Chef Durgesh Boghvekar for hosting us.